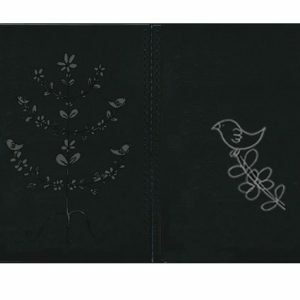 The Moleskine Pocket Japanese book offers a unique notebook design influenced by the traditional Japanese horizontal emakimono scrolls. Perfect for drawings, collages, and sequences, this book contains one sheet of heavy-weight sketch paper that is folded into 60 accordion pages. 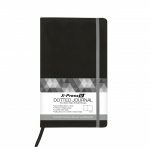 Every Moleskine product is thread bound and has a cardboard bound cover with rounded corners, acid free paper, a bookmark, an elastic closure and an expandable inner pocket that contains the Moleskine history. Excellent for VCE art students final artworks. 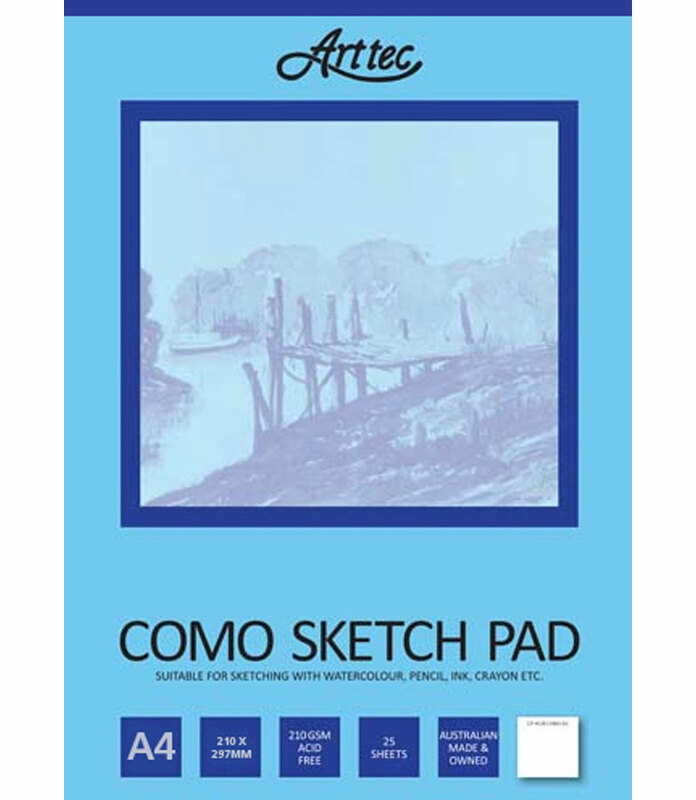 Sketch pads of genuine drawing 100gsm cartridge. Medium tooth paper for drawing with pencil, felt pen, charcoal, pastel, crayon and light wash. 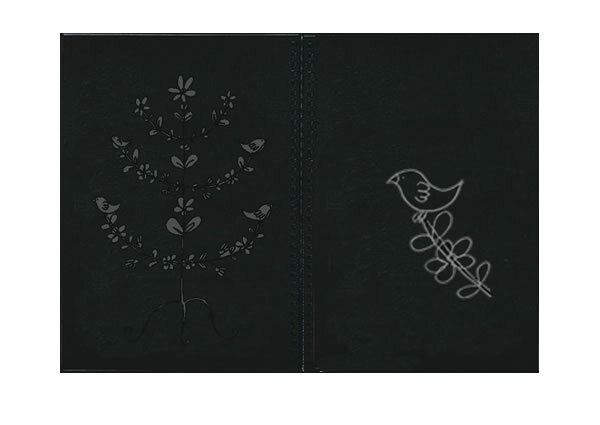 The tablet binding is great as you can remove the pages easily if you wish. This saves space in the classroom and provides fresh undamaged paper to work on. The good quality paper has a medium 'tooth' to grip colour when laid down. Excellent for use as a drawing-sketching pad when you need a better quality of paper. 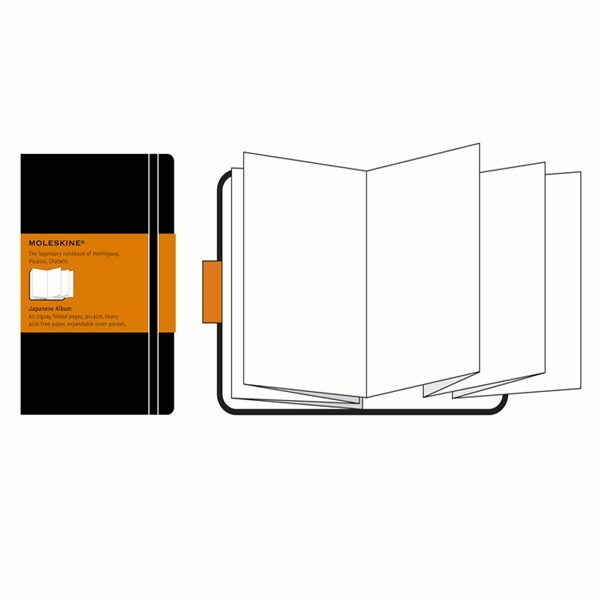 Pad ensures students work is tightly bound and not lost. 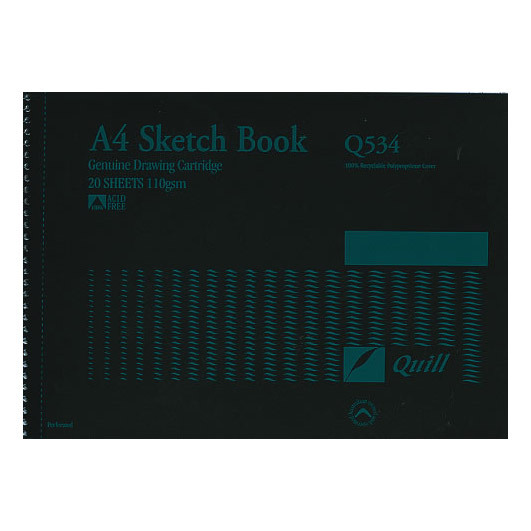 Quill Sketch Pads 25 sheets 110gsm Perforated edges for neat removal of pages Spiral bound lanscape(short side) A very economical good quality cartridge pad. 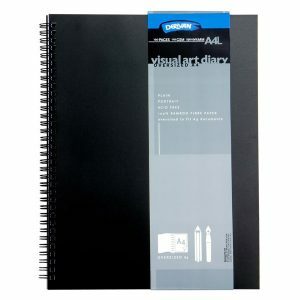 Suitable for pen, pastel, pencils, charcoal. 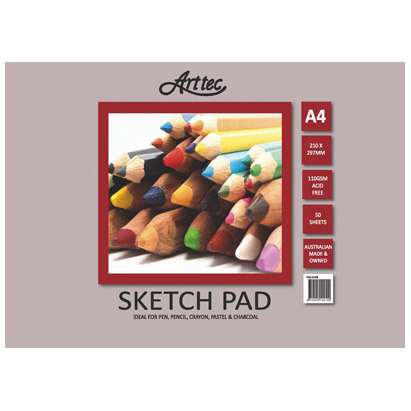 Ideal for student work for drawing, cutting and pasting. 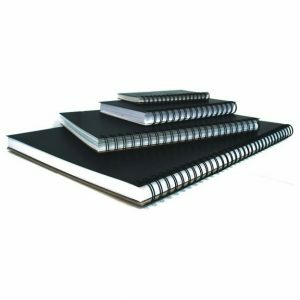 The spiral binding allows the pages to be completely turned over for convenient use inside and on field trips. 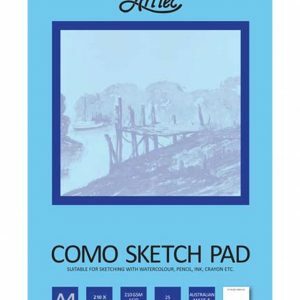 Sketch pads of genuine drawing 100gsm cartridge. Medium tooth paper for drawing with pencil, felt pen, charcoal, pastel, crayon and light wash. The spiral binding is great as you can turn the page completely to the back. This saves space in the classroom and provides a firm surface to work on out in the field. The good quality paper has a medium 'tooth' to grip colour when laid down. 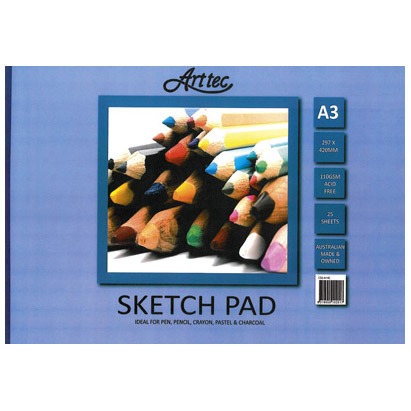 Excellent for use as a drawing-sketching pad when you need a better quality of paper. 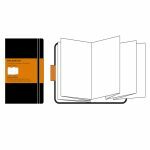 Pad ensures students work is tightly bound and not lost.